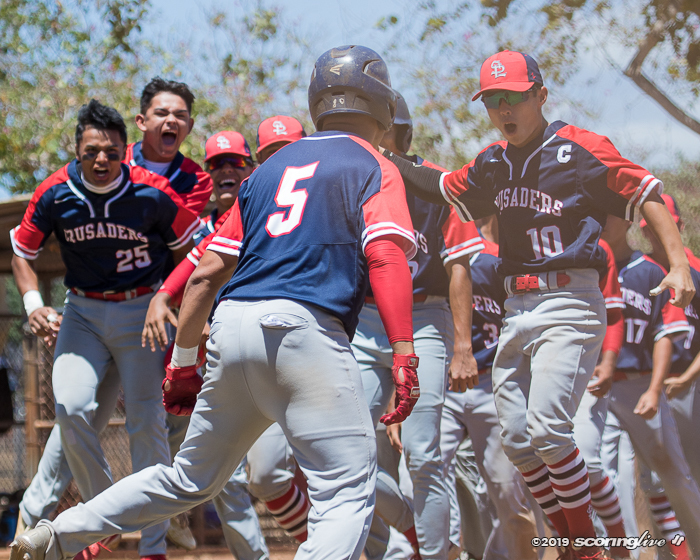 WAIPIO — Even before it took the field Saturday against Punahou, Saint Louis had clinched at least second place in the Interscholastic League of Honolulu Division I baseball standings. To be sure, the No. 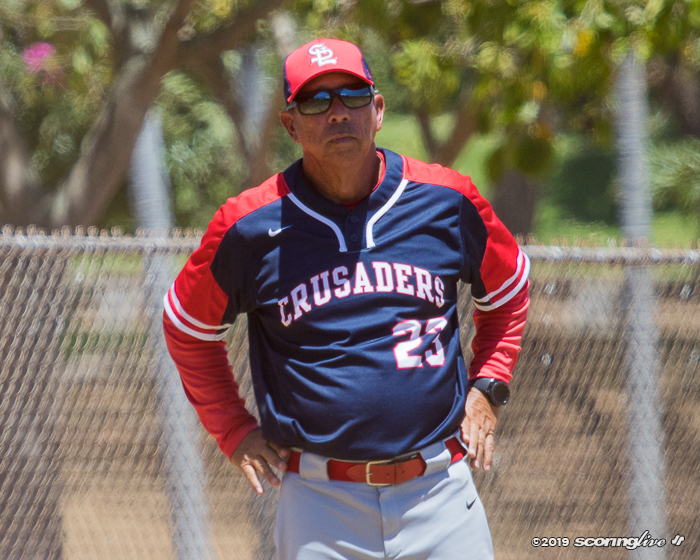 4 Crusaders rallied from a 4-0 deficit to beat the No. 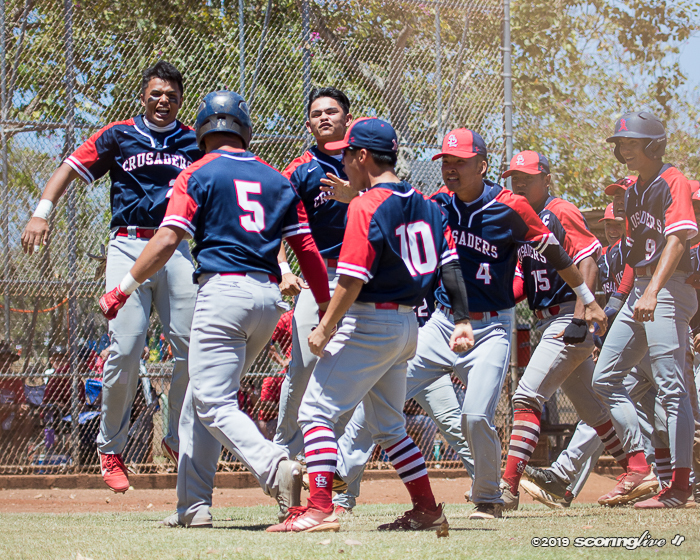 3 Buffanblu, 10-6, at Patsy T. Mink Central Oahu Regional Park to deny the Buffanblu from clinching the first-round title. 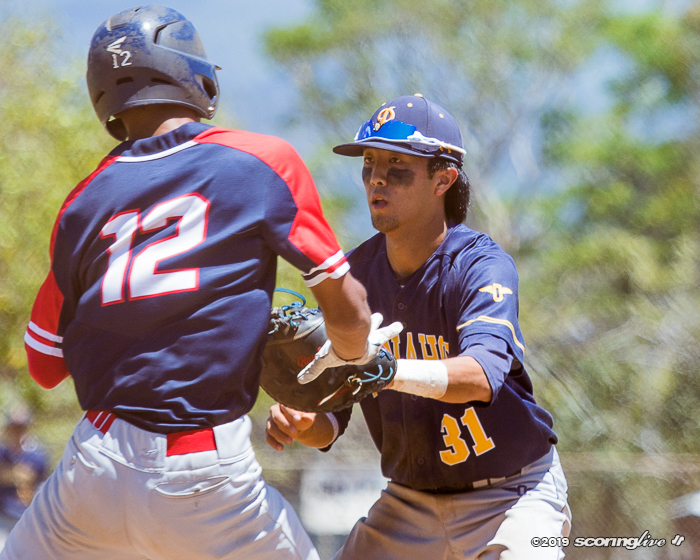 Punahou (12-2) needs to beat Kamehameha (9-5) Monday at Goeas Field to clinch the title and one of the ILH's three state berths. 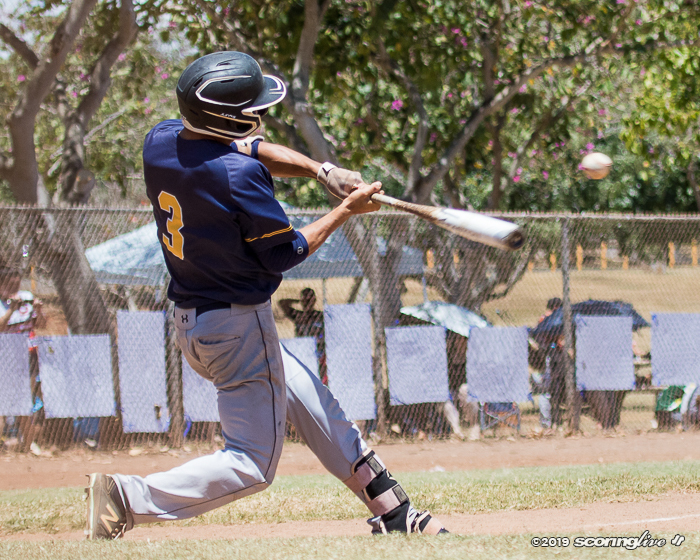 If Punahou loses, it plays Saint Louis in a playoff for the first-round championship. The rest of the league will try to win the second and third berths through the double-elimination second round and any ensuing playoffs. 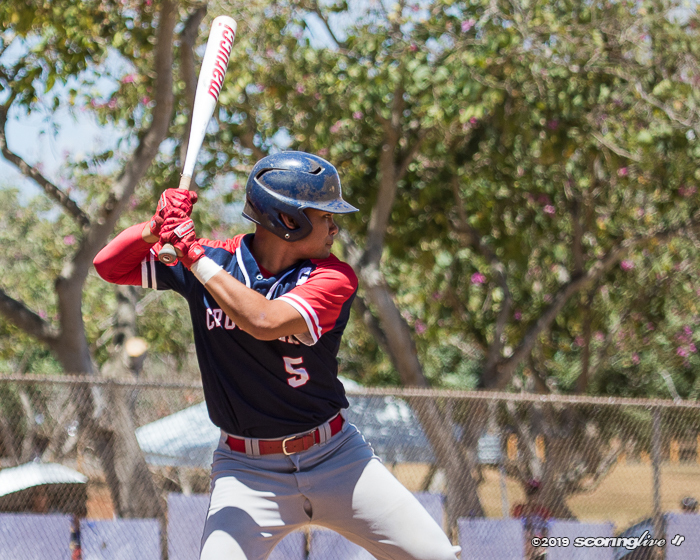 The top three first-round finishers are assured of a playoff pending the outcome of the double-elimination second round. 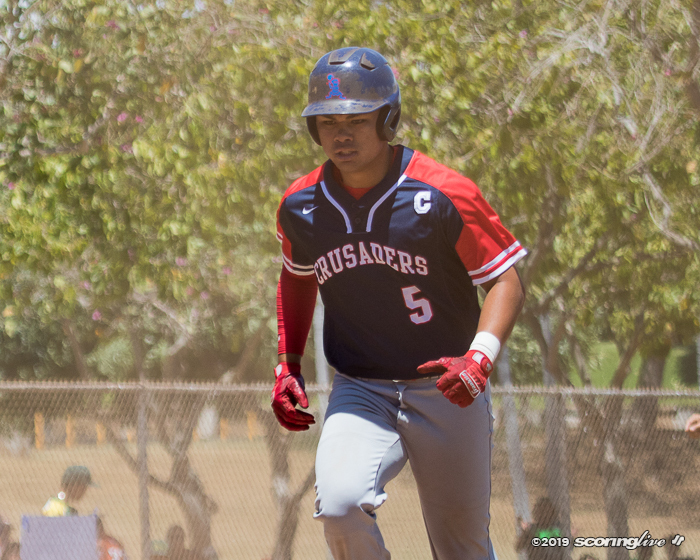 The Crusaders (12-3) ended the first round assured of second place when PAC-5 rallied for three runs in the bottom of the seventh inning to down No. 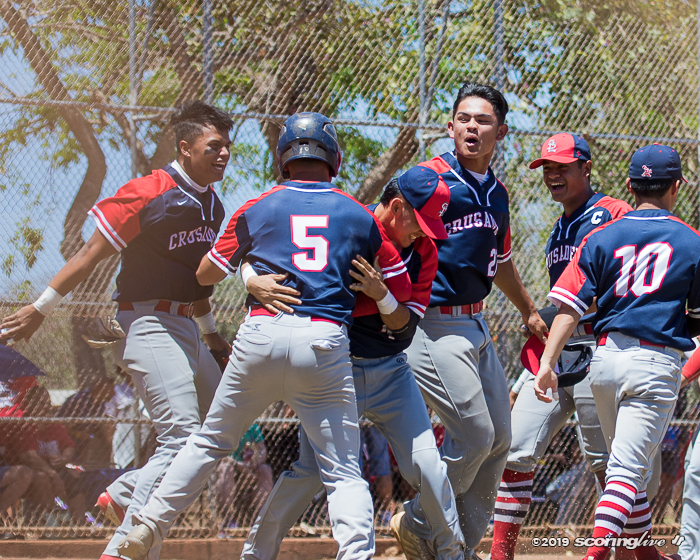 3 Iolani, 8-7, in an earlier game at CORP. 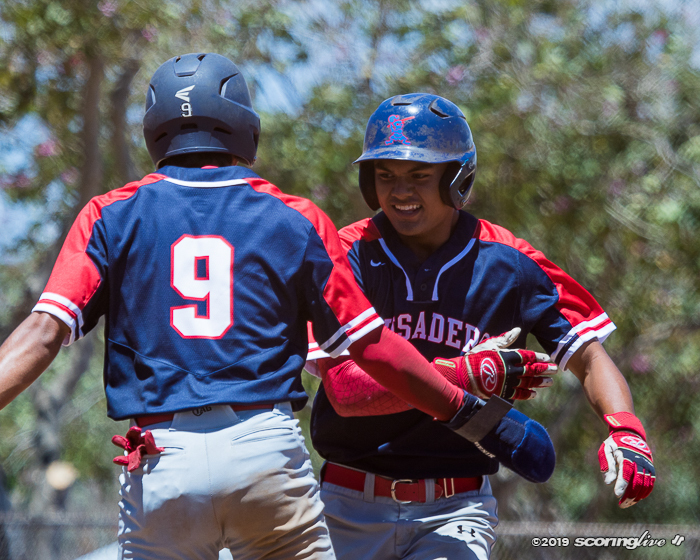 The Raiders (9-5), who started the season 8-0, might be forced into a playoff for third place with Kamehameha. 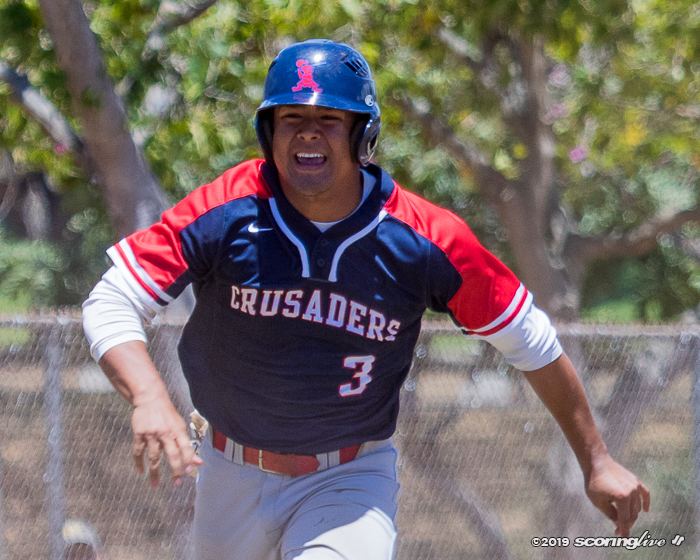 Hunter Peneueta delivered the big blow of the game, a three-run home run to left to cap a five-run third inning that put Saint Louis ahead, 5-4. 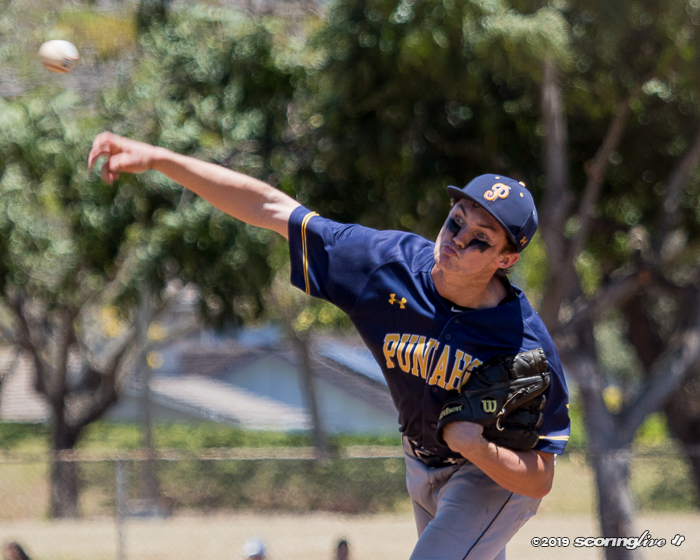 "He was throwing a lot of off-speed," Peneueta said of Punahou pitcher Matt McConnell. "I just waited for that fastball." No one was happier about the blast than Peneueta's coach, George Gusman. Peneueta had been mired in a season-long slump; he was 5 for 32 entering the game. It was his first homer of the season. "That was big for us," Gusman said. "He'd been struggling. For him to stay mentally confident throughout that whole process just shows maturity." Peneueta's homer took the sting off some nice hitting performances by the Buffanblu. Aaron Tom was a double shy of the cycle, driving in three runs. 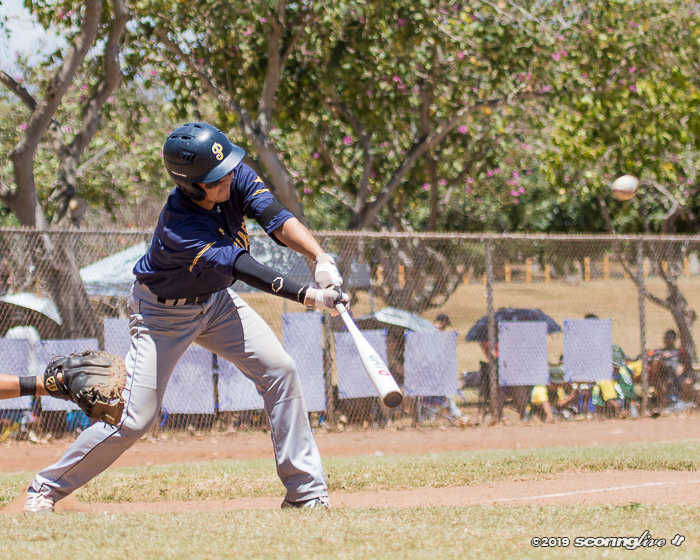 Makana Murashige also drove home three with two triples. Starting pitcher Richie Vidal III was the beneficiary of the strong run support. He pitched five innings, allowing five runs, eight hits and two walks with three strikeouts to get the win. 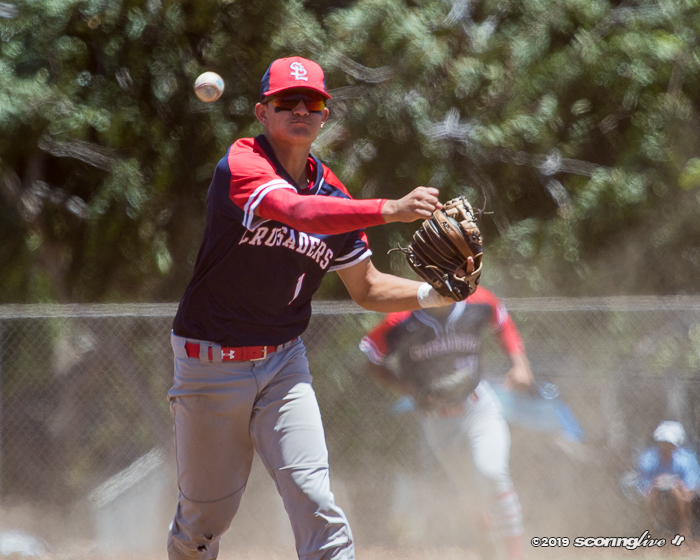 Makaio Bruchal pitched the last two innings, allowing a run on two hits. With a little luck from nature, McConnell might have had a better fate. 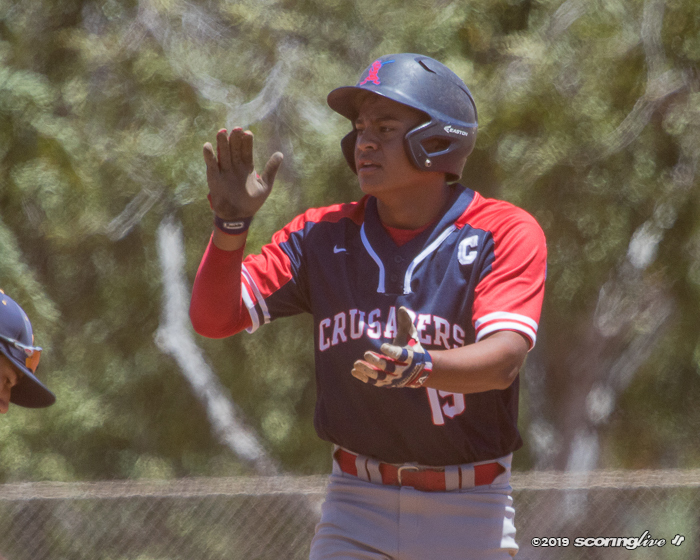 A wind-affected pop up to shallow left-center just blew out of the reach of Punahou shortstop Jake Tsukada and landed for a two-out RBI double for Makana Ontai. 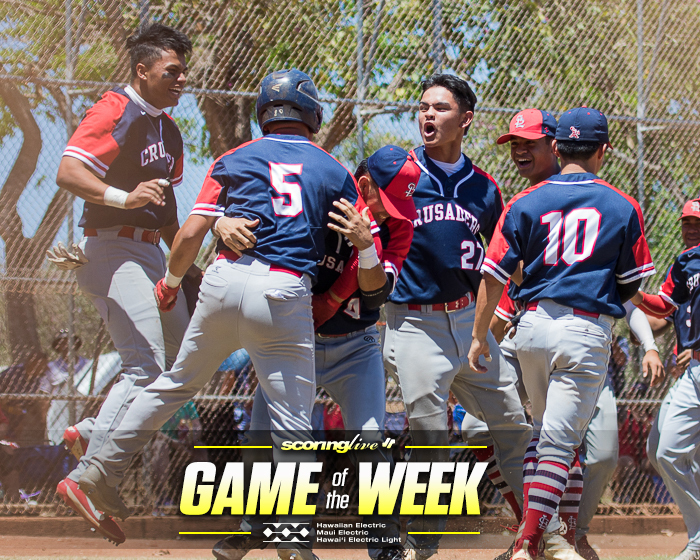 The bleeding would not stop as JT Navyac singled home Ontai and Matthew Saelua walked to set up Peneuta's three-run homer. McConnell pitched 3 1/3 innings, allowing six runs, eight hits and three walks with four strikeouts. 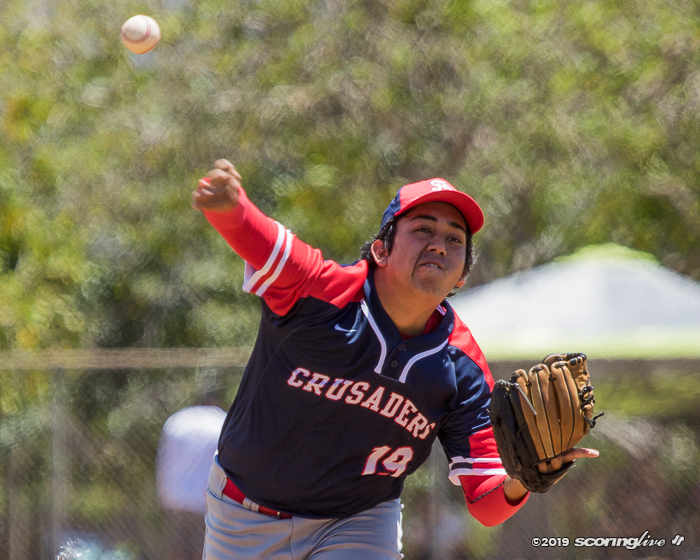 With a little better fielding, relief pitcher Michael Robichaux might have earned a better pitching line. He was charged with four runs — three unearned — in 2 2/3 innings. 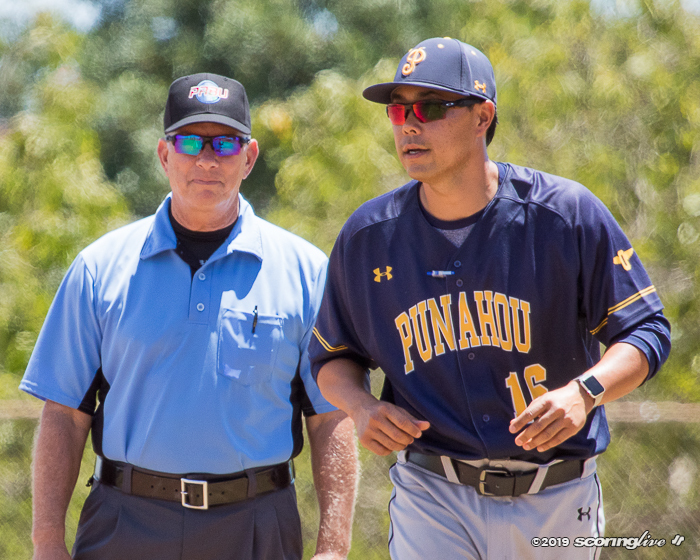 "When you make errors, you hit guys and you walk guys, you're not going to win," Punahou coach Keenan Sue said. "And (the Crusaders) did a great job. They had huge clutch hits, a big home run. We went out and posted four and they stayed in it and battled. It's a testament to Gus (Gusman) and his guys for grinding it out. I'm really impressed with how well they played." 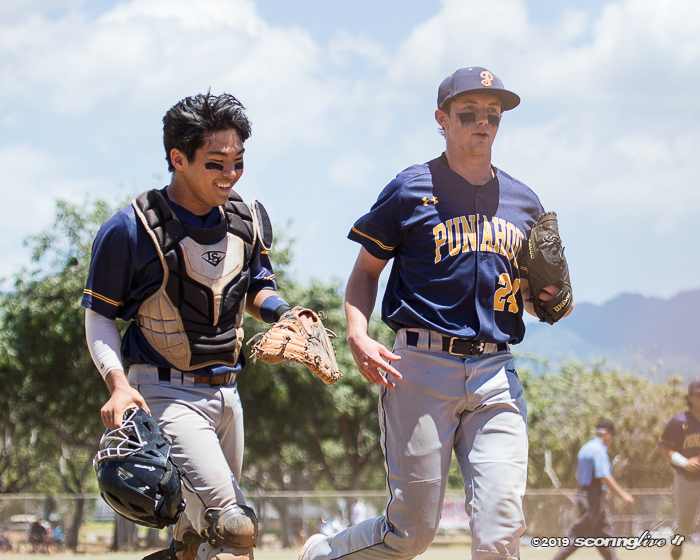 Punahou stormed out of the gates in the top of first against Vidal. 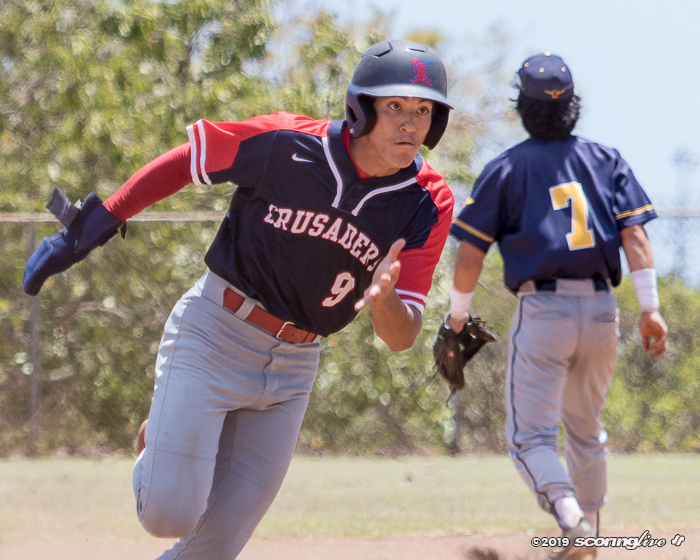 Tom's RBI single and Murashige's two-run triple put the Buffanblu ahead, 3-0, before the Crusaders got to swing their bats. Murashige's two out RBI triple in the third made it 4-0. 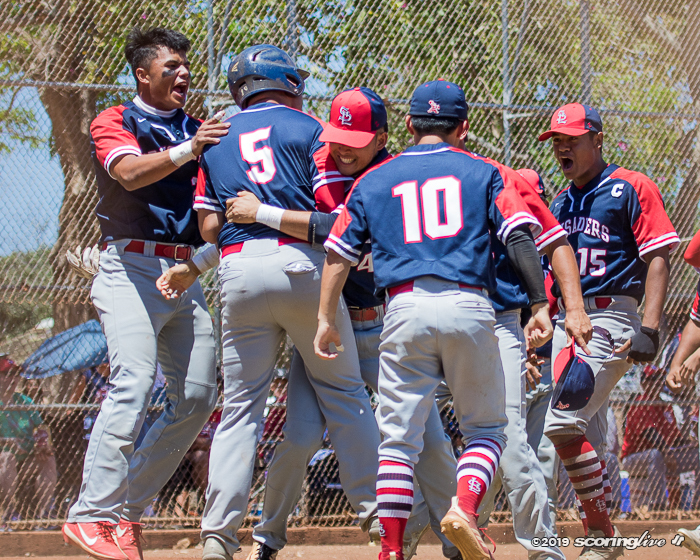 The Buffanblu lead came crumbling in the bottom of the third when Saint Louis sent eight batters the plate and all the scoring occurring with two out in the five-run frame. 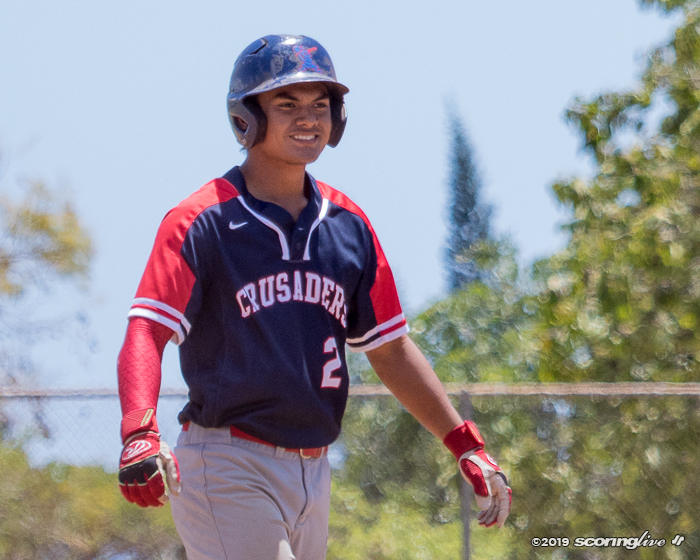 Saint Louis added a run in the fourth on Austin Teixeira's run-scoring single to make it 6-4, but Punahou closed the gap in the fifth on Tom's solo homer to left. 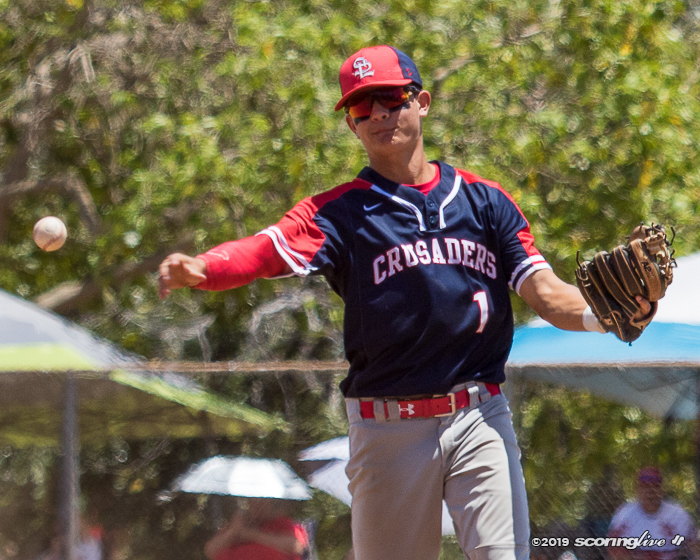 The Crusaders widened their lead with a four-run fifth with only two balls being batted out of the infield. 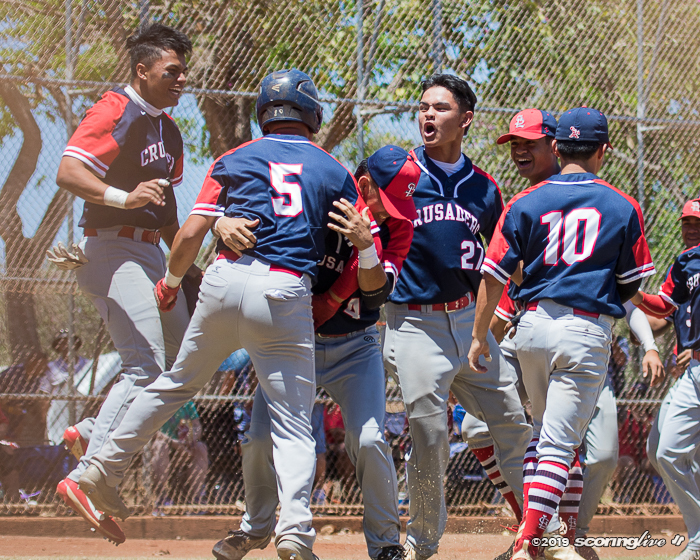 A hit batsman, followed by an error and a sacrifice put runners in scoring position to set up Cole Kashimoto's two-run ground single off the mound that ricocheted into left field. An error allowed another run to score and Caleb Lomavita's sacrifice fly made it 10-5. 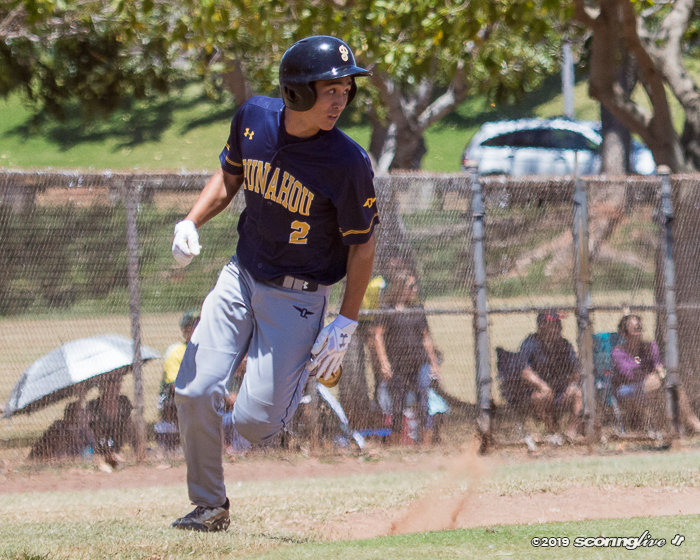 Punahou managed a run in the top of the seventh on Tom's RBI triple. "We knew this one was going to be a close one," Peneueta said. "We just had to work hard this whole week and we got this done."